» PC Gaming » Ethernet Speed VS Wireless, Which Do You Prefer? « The Steam Lunar New Year Sale Is LIVE! Ethernet Speed VS Wireless, Which Do You Prefer? 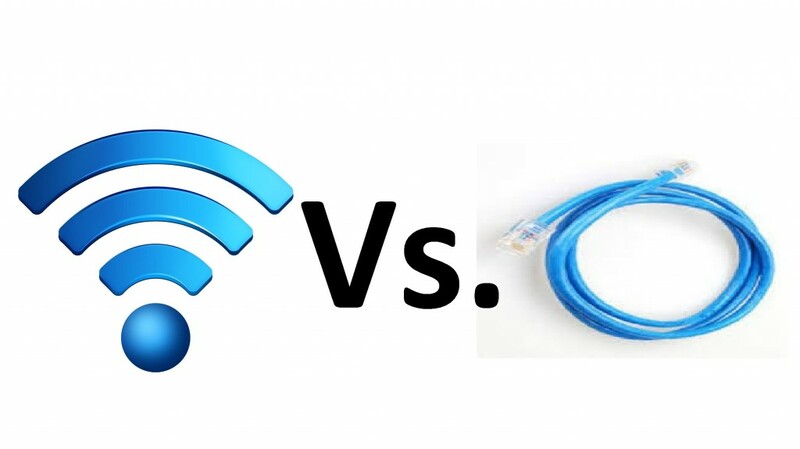 In the battle of ethernet’s blazing speed VS the power of wireless, which one wins in your opinion? Both have their major advantages, that’s for sure. 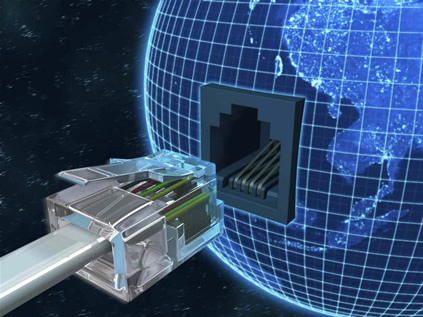 With ethernet you’re able to have the best connection that is available to you. You experience a lot less lag when playing multiplayer and you experience faster load times with anything dealing with the web. 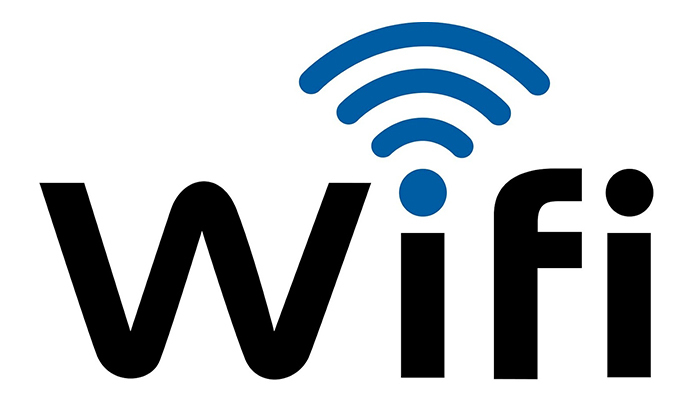 With a wireless connection you’re able to have your PC virtually anywhere in the house and you’re still able to have a solid connection. As I’ve just moved into a new place to live I had to set up another source for internet with my ISP. By doing so, I had the modem/router hooked up in our office room as that is where my gaming PC is located at, I definitely wanted to make sure that I was able to try out ethernet speeds! When I was living at my parent’s house I was using an internal wireless network adapter with my PC because it was in a separate room from where the router was and it wasn’t possible to use an ethernet cord with it. I was able to still game and browse the web with a wireless network adapter and it actually worked out for the most part. Even though I’ve only used ethernet for a few days though, there is definitely a difference in network speed. As I said, I had to use a wireless network adapter at my parent’s house with my PC since ethernet simply wasn’t an option due to my PC being in a completely different room. It wasn’t super crazy far away, I was just in the other room from the router and we had a router separate from the modem as i gave all of us better wireless speeds. We all constantly had devices using the wifi. We all had smart phones connected to it, my mom had her iPad connected, my dad had his Verizon tablet connected and my mom would also have her laptop connected to it at times. I would also have my Mac connected to it for the most part so we had quite a few devices connected to our wifi. Even with all of those connection, I was able to manage having download speeds of up to 3.5 Mb/s while downloading a game and 8 times out of 10, gaming with a friend was a breeze. That resulted in me having to reset the internet time after time and restarting my PC just to ensure that we were still able to game. It was frustrating at times but a wireless connection was needed for where I was at. Gaming worked for the most part but now that I’m on ethernet, I have yet to experience a problem like that with my new internet and ethernet connection. After moving into my new apartment and having an ethernet connection straight to my desktop I’ve noticed a significant difference in online speed! I’ve just started downloading Far Cry 3 onto my desktop via Steam and I am seeing a peak of 13.9 MB/s download speed and I’m averaging around 13.5 MB/s for the download overall. That is a much higher rate than what I had wirelessly at my parent’s house at just around 3.5 MB/s on average! I remember the highest speed that I would hit was around 5 MB/s there. This may also be due to the fact that I’ve only got my Mac and my smart phone hooked up to the internet, there aren’t nearly as many people using this internet as there were at my parent’s house. It’s just my girlfriend and I, she has a smart phone and a Mac laptop as well. Far Cry 3 is going to take 10 minutes to download right now and honestly I’m super excited about it. It is an 8.5GB game and it only takes 10 minutes to fully download it to my hard drive! Although having a wireless connection allows you to be able to connect wirelessly and still have a somewhat solid connection, ethernet gives you the best experience and you’re going to experience higher download speeds and a much more solid connection while gaming. While playing Ark: Survival Evolved I was able to chat, game and do everything else very easily. That game requires a good internet connection and I was able to handle it with ease, it’s all thanks to having an ethernet connection. I bet I could still play just fine with a wireless connection, it’s just that there is a much lower chance of the connection dropping as I am playing. As I said, I used a wireless network adapter at my parent’s house and I did so for over 3 years. It’s totally doable and again 8 times out of 10 I was able to have a solid experience while gaming with friends and being on TeamSpeak/Skype! Comparing the two – if you’re able to have an ethernet connection someway, maybe by using a very long cord, then I’d highly recommend doing so! So, are you using a wireless network adapter? Or are you using an ethernet connection? Tagged ethernet speed vs wireless. Bookmark the permalink. 2 Responses to Ethernet Speed VS Wireless, Which Do You Prefer? If your PC is right next to your modem then you’d be able to connect via an ethernet cable. It’s definitely the cheapest way to go and since it would be a direct connection from the modem to your PC you’d also have the most reliable connection. Connecting via ethernet is the way to go so if that is a possibility, definitely do it! If your PC is away from your modem then you’re going to have to go with a wireless solution. You could check out the USB adapter that I share on all of the PC builds here, it’s a low priced solution that gets the job done as long as you aren’t super far away from your router. Other than that, you could also go with an internal connection which connects to a slot in the motherboard. I have this one by Asus in my PC right now and back when I had to use it, it was reliable most of the time. 2/10 times I would have a small issue… though I use ethernet now since I moved to a new place and I decided to have my modem/router right next to my PC. All in all, if you’re able to use ethernet then do it. It’s the cheapest and best option for connection. Otherwise you could go with a USB adapter or if you have the room in your budget you could also use an internal network adapter. The internal one would be better, but I’ve heard good things about the USB solution as well!